Brandon R. Schrand is the author of Works Cited: An Alphabetical Odyssey of Mayhem & Misbehavior (2013), and The Enders Hotel: A Memoir, a 2008 Barnes & Noble Discover Great New Writers selection. 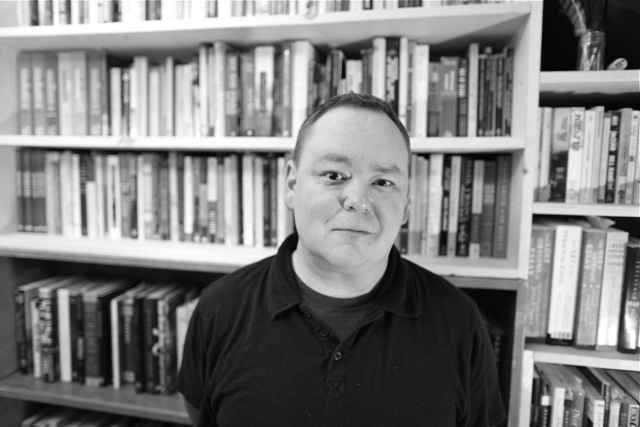 His work has appeared or is forthcoming in Sports Illustrated, The Dallas Morning News, The Utne Reader, Tin House, Shenandoah, The Georgia Review, Boulevard, The Missouri Review, Columbia, River Teeth, Ecotone, and numerous other publications. He also has essays in several anthologies including Borne on Air: Essays by Idaho Writers (EWU Press); Now Write! : Nonfiction Writing Exercises from Today’s Best Writers and Teachers (Tarcher/Penguin); and The Book of Dads: Essays on the Joys, Perils, and Humiliations of Fatherhood (Ecco/Harper Collins). He has won the Willard R. Espy Award, Shenandoah’s Carter Prize, the Pushcart Prize, four Pushcart Prize Special Mentions, and has had Notable Essays in the Best American Essays 2007, 2008, 2009, 2013, and 2017. His nonfiction has also been longlisted for Notting Hill’s Hazlitt Prize, and has earned a Yaddo residency. He lives in Moscow, Idaho with his wife and two children.